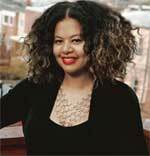 Carole Boyce-Davies is Professor of Africana Studies and English at Cornell University. Her most recently published book is Caribbean Spaces. Escape Routes from Twilight Zones, dealing with the issue of internationalizing Caribbean culture. Born in Trinidad and Tobago, she is a the author of the prize-wining Left of Karl Marx. The Political Life of Black Communist Claudia Jones (Duke University Press, 2008) and Black Women, Writing and Identity: Migrations of the Subject (Routledge, 1994). Dr. Boyce Davies has also published the following critical editions: Ngambika. Studies of Women in African Literature (Africa World Press, 1986); Out of the Kumbla. Caribbean Women and Literature (Africa World Press, 1990); a two-volume collection of critical and creative writing entitled Moving Beyond Boundaries (New York University Press, 1995): International Dimensions of Black Women’s Writing (volume 1), and Black Women’s Diasporas (volume 2) and Claudia Jones Beyond Containment: Autobiographical Reflections, Poetry, Essays (Banbury: Ayebia, 2011). Her work specifically on the African diaspora include: co-editorship of The African Diaspora: African Origins and New World Identities (with Ali Mazrui and Isidore Okpewho, Indiana University Press, 1999); Decolonizing the Academy. African Diaspora Studies (Africa World Press, 2003) and serving as the general editor of the 3-volumeThe Encyclopedia of the African Diaspora (Oxford: ABC-CLIO, 2008). She is working on a new book project on Black Women and Political Leadership in the African Diaspora.